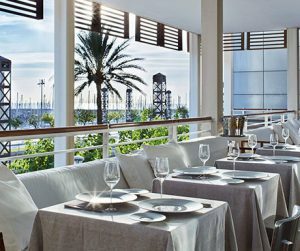 Unsurprisingly, Barcelona boasts a whopping 30 Michelin stars in total, meaning food-lovers are spoilt for choice when searching for a place to dine in the buzzing Mediterranean city. 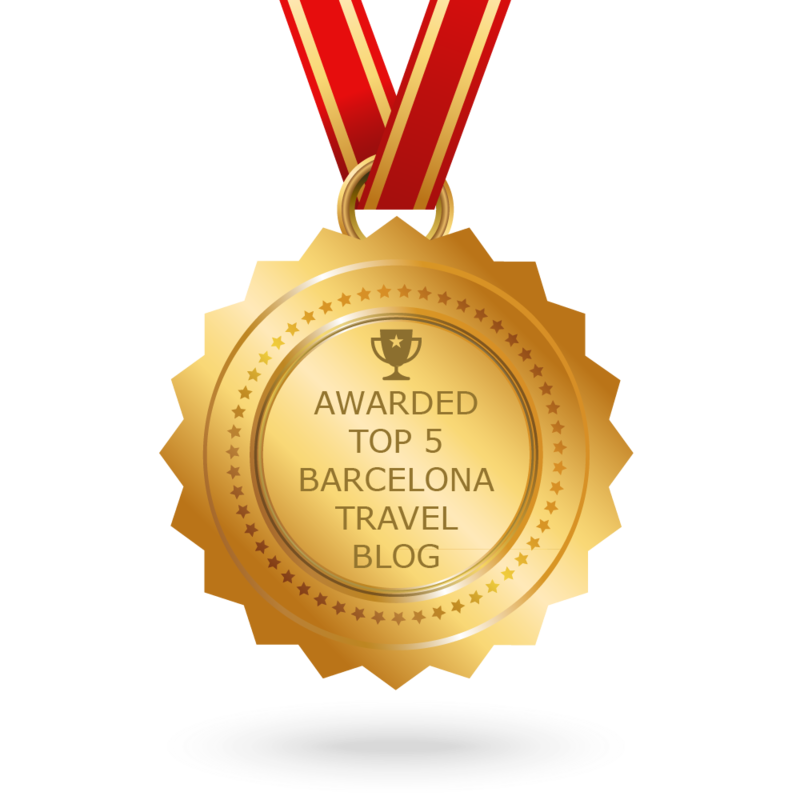 However, don’t panic…we have done the hard work for you and with this selection of some of our favourite Michelin starred restaurants that are definitely worth a try during your stay in Barcelona! Owned by one of Barcelona’s top gastronomic stars, Chef Jordi Vilà, Alkimia is a one Michelin star restaurant with a name that derives from ‘alchemy’, in the Arabic pronunciation (al-kīmiyā) which can be defined as a seemingly magical process of transformation, creation, or combination… something which Vilà undoubtedly achieves in his dishes. The restaurant highlights the use of smaller, local suppliers, futuristic cuisine and a truly intimate atmosphere. Expect dishes such as roasted veal ravioli with prawn, courgette flower with oyster romesco and caramelised cabbage with mushrooms, cheese and truffle cream. Vilà also offers a signature menu that features dishes based upon the four elements – earth, water, fire and air. In terms of its interiors, the restaurant boasts unparalleled design. With modern hues of electric blue and crisp white tied in with an incredible Renaissance-style ceiling contrasted by contemporary furniture, it’s unsurprising that Alkimia recently won the 2017 International Award for Best Restaurant Design. 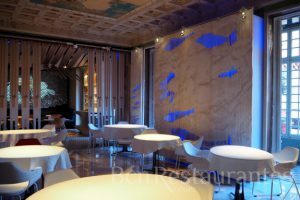 First opened i n 2006, Lasarte is an exceptional restaurant at Barcelona’s 5-star Monument Hotel situated on Passeig de Gràcia. 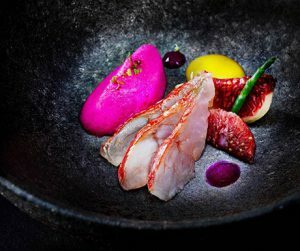 Chef Martin Berasategui and his team’s efforts have certainly not gone unnoticed with this gem, as Lasarte was Barcelona’s first restaurant granted one of the highest recognitions possible in the gastronomic world – not one, not two, but three Michelin stars! Lasarte is renowned for showcasing both creativity and innovation in its menu, with dishes that vary according to what is offered by nature, meaning the ever-changing menu goes hand in hand with the seasons of the year to ensure the highest quality and best taste possible. Current dishes include queen scallops with mushrooms, quail egg, cauliflower and truffle, squid ink risotto with clams and citrus fruit, and grilled Ox fillet served with cheese bonbon, to name just a few. The restaurant’s interior boasts a modern and avant-garde look with a wide variety of spaces to relax and enjoy the outstanding cuisine. Dining at Lasarte truly is a gastronomic experience like no other. Chef Carme Ruscalleda is no stranger to Michelin guide readers, as she is Spain’s leading female chef in terms of Michelin stars. Ruscadella boasts seven stars in total between her three restaurants, two of which that are named Sant Pau and the third being the beautiful Moments, located in the Mandarin Oriental hotel on Passeig de Gràcia. 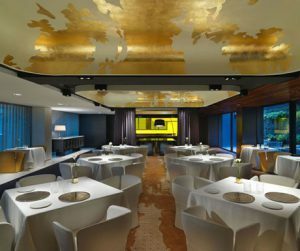 Although the restaurant is only two years old, it already boasts two Michelin stars and is recognised as one of the finest gastronomic experiences in Barcelona. At Moments you can expect to find top quality dishes influenced by the flavours of Catalonia combined with other rich ingredients to create what is defined as ‘neo-traditional Catalan cuisine’. Diners are tempted with dishes such as Mediterranean red tuna with tomato, spring onion and mango and Laguiole cheese with chestnut and honey. Additionally, Moments’ chic amber-hued interior most definitely creates a relaxed and intimate atmosphere to enjoy the gastronomic experience offered by both the à la carte and tasting menus. As well as this, a window that looks into the kitchen provides diners with a preview of the magic that’s about to be served…a truly unique feature! ‘Disfrutar’ translates directly to English as ‘to enjoy’, and we can guarantee that you will do just this when dining at this fabulous Michelin starred establishment. A trio of incredible chefs work hard to contribute to this restaurant’s success after their previous achievements at their other award-winning restaurant, Compartir (which, for those interested in Spanish, translates as ‘to share’, hence why the restaurant focuses primarily on sharing menus). Disfrutar offers an avant-garde venue that gives great emphasis to creativity, serving exquisite dishes with strong Mediterranean roots, meaning you can expect plates such as red mullet with pork belly and aubergine gnocchi, indulgent cheesecakes and other mouthwatering desserts. However, chefs Mateu Casañas, Oriol Castro and Eduard Xatruch believe in the importance of a surprise in the dining experience, and for this reason we highly recommend leaving your order choice in the hands of the experts by trying their exquisite and lengthy tasting menus of up to 25 courses! Located in the trendy Eixample district, Disfrutar was named ‘Restaurant of the Year’ in 2015 by the Catalan Academy of Gastronomy…so what are you waiting for? Situated in the mountainous Tibidabo area, slightly further afield from the hustle and bustle of Barcelona city centre, Àbac restaurant is another proud owner of three Michelin stars – a true representation of the hard work put in by Chef Jordi Cruz and his team. A crew of young professionals works diligently at this hotel-restaurant to develop creative cuisine of unbeatable technique, based on creativity and innovation. When dining at Àbac, expect cutting-edge dishes such as parmesan gnocchi with walnuts and sautéed mushrooms, Galician salmon with cured egg yolk and grilled duck with pumpkin and lavender. The restaurant itself is located in a newly-built pavilion next to a peaceful garden, bringing an aspect of nature to your evening of fine dining. Its interior showcases a combination of calm, neutral tones with intricate details to create an atmosphere of elegance. At Àbac, you have the choice between different sized tasting menus either with or without wine pairing, as well as the option to take a tour of the kitchen to ensure your gastronomic experience is most certainly one to remember. Located on the first floor of Hotel Arts, a 5-star beachfront hotel, Enoteca restaurant is proudly owned and directed by chef Paco Perèz, whose passion for cooking began at the young age of 12 as he helped out at his family-owned tapas bar. 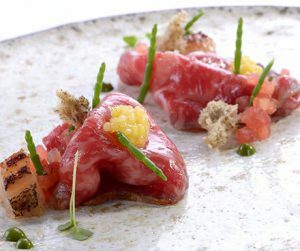 Today, with five Michelin stars behind him, he follows a philosophy based on quality ingredients, elegance, and ingenuity along with food created through the use of both traditional and modern techniques. Two of these five Michelin stars belong to Enoteca, and rightly so, as the restaurant offers incredible cuisine in an intimate seafront setting. 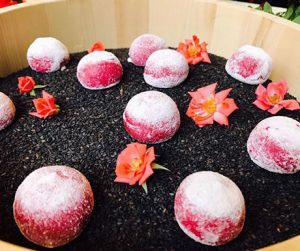 Expect plates such as beetroot tart and asparagus with black truffle and caviar to tickle your taste buds when dining at this establishment. The restaurant itself has a white interior, rustic floor and plenty of natural light giving it an elegant yet chilled ambience – the perfect place to relax on a summer’s day whilst taking in the views of the Mediterranean. Diners have the choice between the à la carte menu and the tasting menu, and with more than 700 (!) wines on offer, the phrase ‘spoilt for choice’ most certainly springs to mind! Although Girona isn’t in Barcelona, we simply had to include this establishment as it makes a trip to the small Catalan city completely worth it! 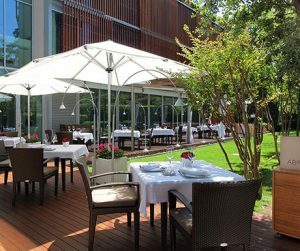 Owned and managed by 3 brothers with years of experience, El Celler de Can Roca was awarded the first ever Michelin star for a restaurant in Girona, as well as being named as the World’s Best Restaurant by Restaurant Magazine in both 2013 and 2015. The Roca brothers’ first found a passion for cooking when growing up and working in Can Roca, a restaurant managed by their parents in Taialà, on the outskirts of Girona. In 1986, the three brothers collaborated to create El Celler de Can Roca, and their success comes from simply knowing their key kitchen strengths to create the perfect combination, with Joan as having the ‘salt mind’, Josep the ‘liquid mind’ and Jordi specialising in the dessert preparation, i.e. the ‘sweet mind´. Today, El Celler de Can Roca boasts three Michelin stars and the success of the Roca brothers’ is undeniable. Expect dishes such as grilled sole fish with green olive, fennels and pine nuts and apple timbale with foie grass and vanilla oil… our mouths are watering at the thought! Unsurprisingly, all of these restaurants require advanced reservations, so be sure to make a booking if you’re planning on dining at any of the above. Whether you’re celebrating a special occasion or simply looking to (really) treat yourself, any of these restaurants will be sure to impress!